Angie's List and Houzz have again honored Kitchen Saver for bringing excellent customer service to kitchen remodeling. "We are pleased to have received both of these awards again this year"
Kitchen Saver, Inc, a kitchen refacing and remodeling company in the MD, DC and VA area has received awards for top-notch customer service from two industry-leading organizations, Angie's List and Houzz. Kitchen Saver held these awards for the previous year as well. "We are pleased to have received both of these awards again this year", said Tish Mayne, Director of Marketing. 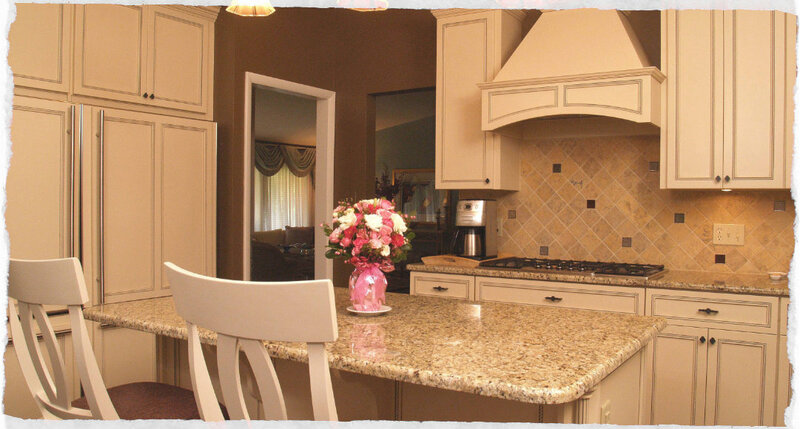 Kitchen Saver® is a family business that has been providing professional kitchen remodeling and cabinet refacing services to the Mid-Atlantic region for over 25 years. Kitchen Saver offers a semi-custom approach to kitchen remodeling; combining cabinet refacing with new cabinets, features and upgrades. While this approach provides the quality of a major kitchen remodel for the price and efficiency of cabinet refacing, it is the craftsmanship of their cabinetmakers, the meticulous care of their installers, and the partnership of all of their staff along the way that is behind their winning streak. Kitchen Saver was also recognized for customer satisfaction by Houzz, the leading platform for home remodeling and design. This means that they were chosen from among more than 500,000 active home building, remodeling and design industry professionals by the Houzz community. Customer Satisfaction honors are determined by a variety of factors, including the number and quality of client reviews a professional received in 2014. 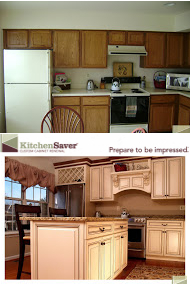 Kitchen Saver's unique blend of custom work and refacing takes the strain off of many remodeling budgets. You can get features you may have thought out of your range when you save by refurbishing rather than replacing.Cream kitchen in the traditional style with seating at a kitchen island and a range hood over the stove.